Pictured in this section are not everyday Jeeps or multi-use vehicles that were used by chaplains as well as other personnel, but vehicles that were uniquely identified as the chaplain’s as well as vehicles specifically modified or created for chaplain use. World War 2. “Army’s Trailer Church. Washington D.C. — Catholic Soldiers shown during Mass celebrated by a chaplain in a trailer church equipped with public address system, altar, pulpit and hymn books. The War Department will provide each division with ton-and-a-half trailer churches similar to this one.” U.S. Army Signal Corps photo, 25 Nov 40 (author’s collection). Korean War. Interesting chaplain vehicle with lots of space and nice chaplain kit being set up. 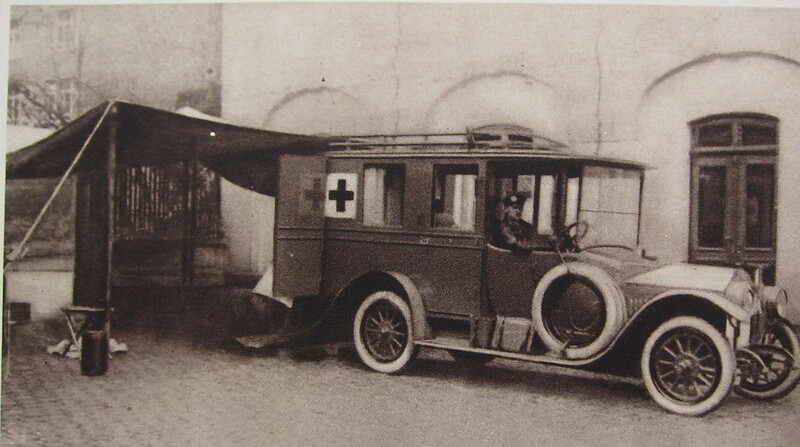 This vehicle seems to be a Soviet-made “GAZ” ambulance that must have been left behind by the North Koreans or Chinese when they were pushed north (author’s collection). Russian Orthodox military mobile chapel. World War 2, British. Inside of the late 1944 mobile church built by Norther Coachbuilders Ltd.